Hi there, my darlings! It's a chilly day in NYC and one can hardly tell that the Spring officially begins on Friday, March 20th! 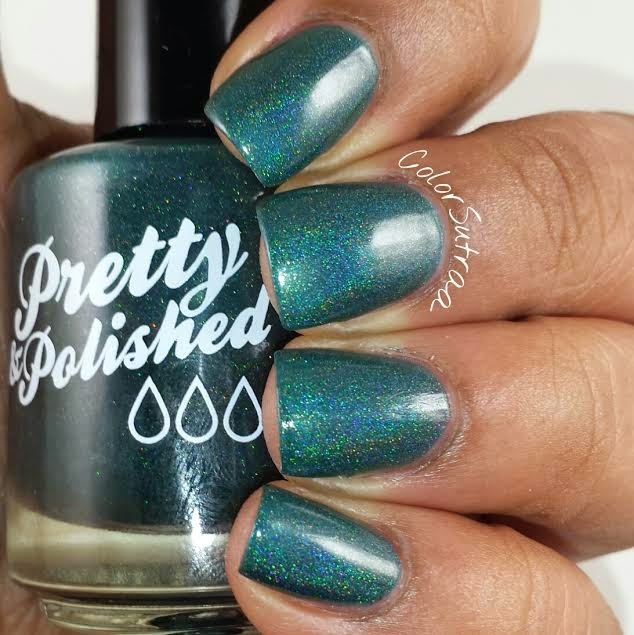 But, in the hopes of truly ushering in consistent spring weather, bright and early this morning, I'd like to share with you my swatches of a gorgeous polish that is releasing on Friday as part of Pretty & Polished's Spring 2015 collection--We Weather Together is a gorgeous holo! MEET ME AT THE FISHING HOLE - a blue crelly base with green/aqua color shifting flakies in it. PRETTY & LILACQUERED - A purple/pink that changes to white/light pink in heat. It has blue and pink matte micro glitters. INSERT EGGCEPTIONALLY BAD PUN HERE - A yellow crelly with turquoise and orange glitter. PRISM BREAK - A multicolored flakie topper. LIVING IN THE PASTEL - A creamy pink with pastel blue and yellow glitters. We Weather Together is a gorgeous deep teal with a jelly formula. 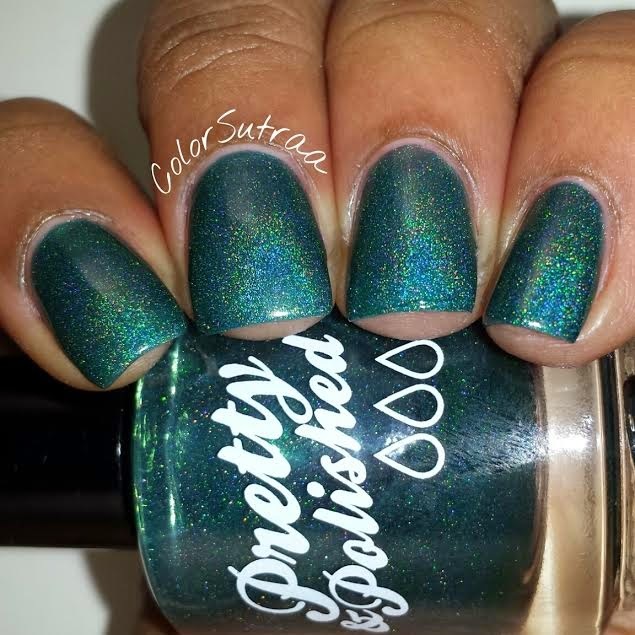 Smooth, easy formula and this beautiful holo was opaque in 2 coats. I, however, have noticed that more coats usually means more depth with jelly holos and the swatches below show 3 thin coats by itself. Isn't this beautiful?! 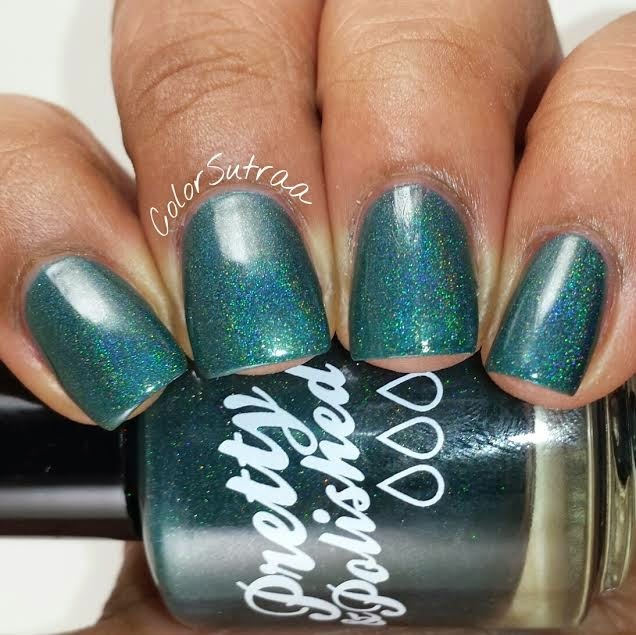 I'm so ready to do a pond mani with this beauty!